I've been doing better with my little indoor house plants lately, so I broke out the air dry clay to make some cute little pots for my growing collection. I haven't been making enough time for those just-for-fun projects these days, so it felt pretty great to do just that. This tutorial isn't really very involved, but I thought I'd photograph the process just in case someone wasn't familiar with the start-to-finish. 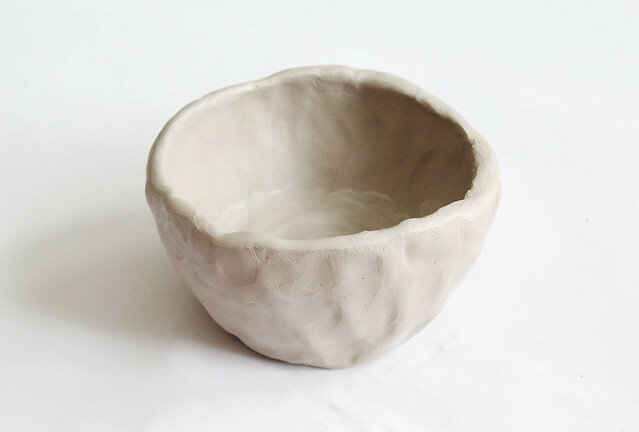 I took a chunk of my clay and molded it into a bowl shape. 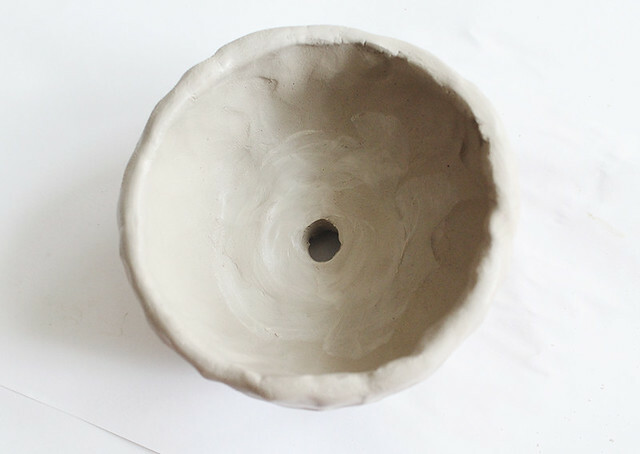 I was making a planter, so after the bowl was formed, I carved a hole for drainage in the bottom with one of my tools. 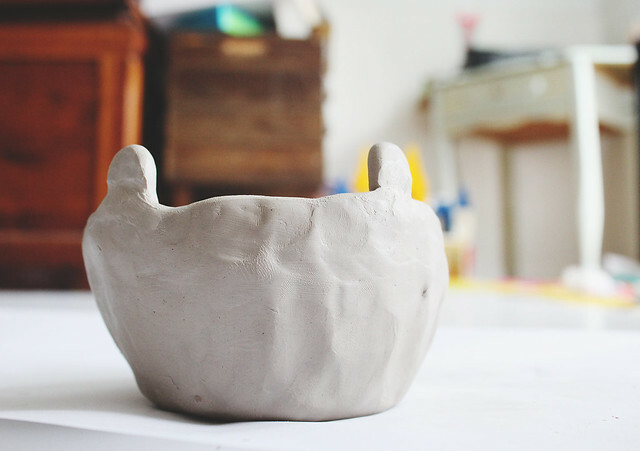 I pinched off some more clay and added that to the bowl for ears. 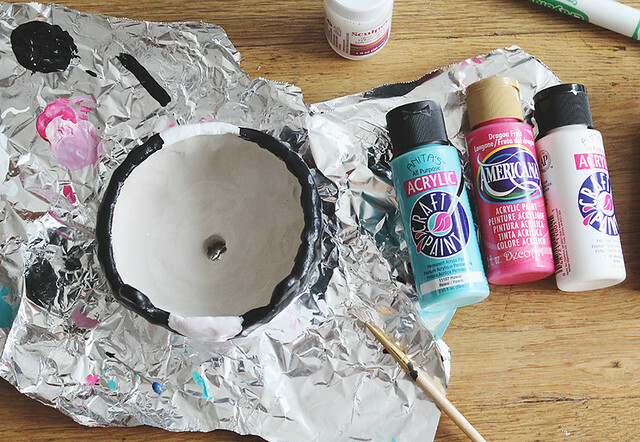 If you'd like a smoother, more polished look for your bowl, here's a really cute tutorial for that. I wanted some texture to mine, so I free handed all of it. I let my bowl dry out for a couple of days and then broke out the paints. I got my inspiration for this little skunk by searching for vintage skunk figurines on Etsy. What can I say? I love my ever-growing skunk collection. I think he's a pretty cute addition to our living room plant stand. Hopefully this inspires some fun weekend craft time. Happy Friday! So adorable! 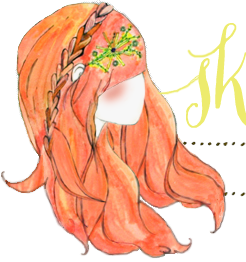 My daugther is begging to make one. So cute! Thanks for the tutorial. I have been really wanting to get some houseplants lately. This is too cute!! I'm wanting to get more into having house plants and have a silly question...how do you deal with the water draining? I've already ruined one window sill because the water leaked out and caused the wood to bubble. :( Do I need to use little "saucers" under them? 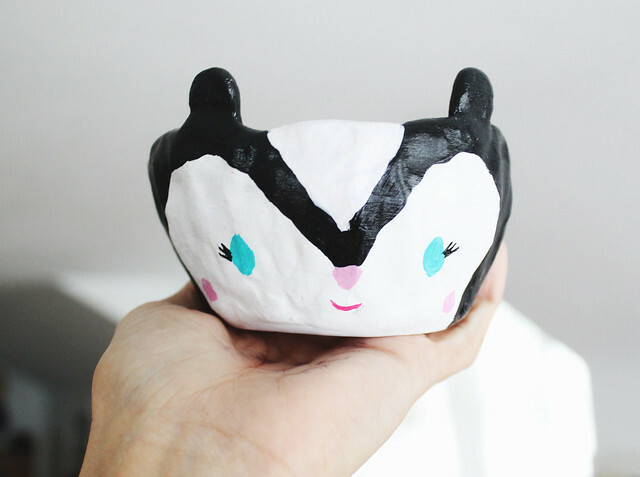 Thank you for sharing your adorable little skunk with us! this is so cute, katie! it has so much personality. 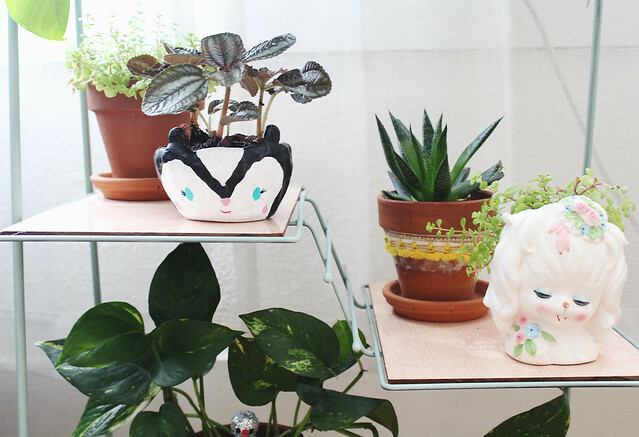 Well that is a very cute planter! So sweet! 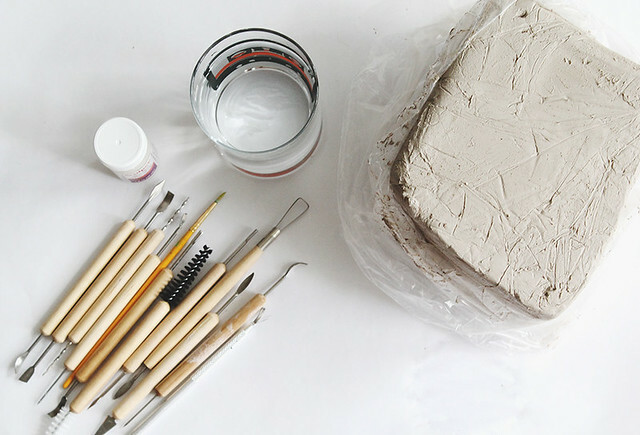 This looks super easy....I want to make one too! This is too cute. I'm always needing more pots for all of my little plants and succulents. 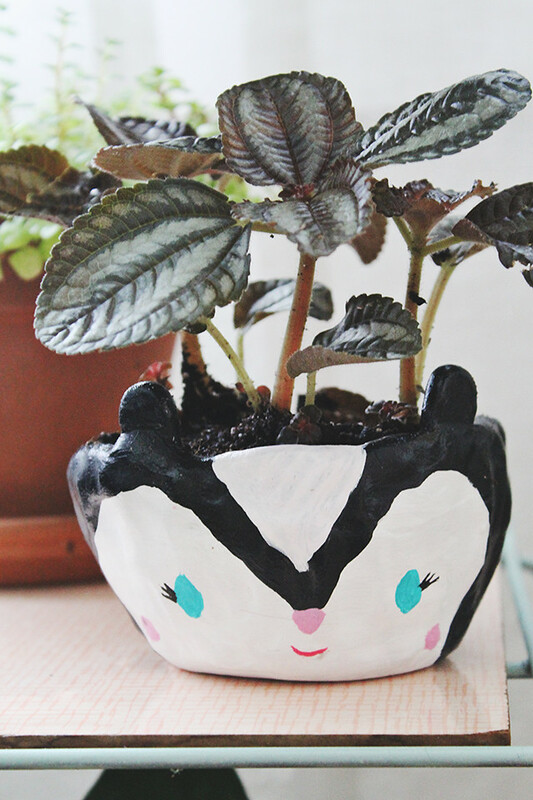 I definitely need to make a little critter pot now!